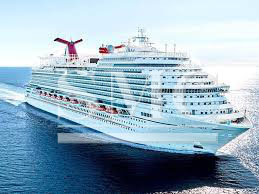 The cruise ship industry is one of the worlds most profitable tourist industries. With the US cruise ship industry making a little over $37.8 billion dollars a year it only makes sense that China would want to expand its tourism efforts to the seas. Each year 20.3 million people sail the seas on these floating resorts. More and more of these cruise ship passengers are Chinese. In fact, last year 3.6 million Chinese people vacationed on these luxurious cruise ships. Since 2006, the Chinese cruise rate has risen 45% in one decade. Due to this large increase in interest, China decided to being hosting cruise ships in 2016. Due to China’s increased interest in cruises, Shanghai became the first port to host a Royal Carribean cruise ship in the summer of 2016. Since then they have expanded their ports of call to other popular Chinese ports such as Tianjin. Norwegian is not far behind making its Chinese debut this summer. However, two ships are not enough. It is estimated that by 2020, 4.5 million people will embark on cruises. In order for this to happen, 40 cruise ships will need to call a Chinese port home. This is what prompted the $3.37 billion dollar agreement between Carnival Corportation & Plc and China Investment Corporation. This agreement calls for the production of two ships built in partnership with China’s largest ship builder CSSC and the Italian company, Ficantieri SPA. China is already the world leader in ship building, but this will be it’s first ever Chinese built cruise ship. China’s ability to produce ships at low-cost high volume are due to the abundance of the countries resources, such as steel. The future ship will be complete in the year 2023. Following the completed delivery of the first Chinese built cruise ship, there is an estimated delivery rate of one cruise ship per year between the years 2024 and 2028. China’s first cruise ship is set to be completed by the year 2023. It is expected to have nearly 2,000 individual cabins and a maximum capacity of 5,000 passengers. It is expected to be 323.6 meters long, or almost 4 football fields in length. It’s also expected to be about 37 meters wide. The luxury cruise liner will be constructed with state of the art technology. There are five main concepts in the development of this vessel. The concepts are as follows: innovative, coordinated, green, open, and shared development. The partnership among CSSC and Ficantieri SPA is the first step in expansion of the sustainable and profitable cruise ship market in China.